What a great find, Bernie! And I love what you did to complete it. 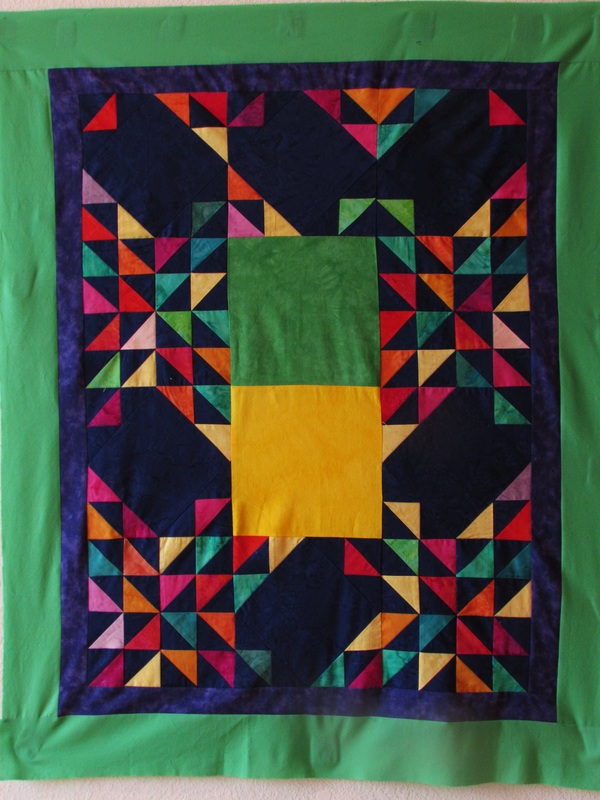 It has great negative space for some quilting to show nicely, too. 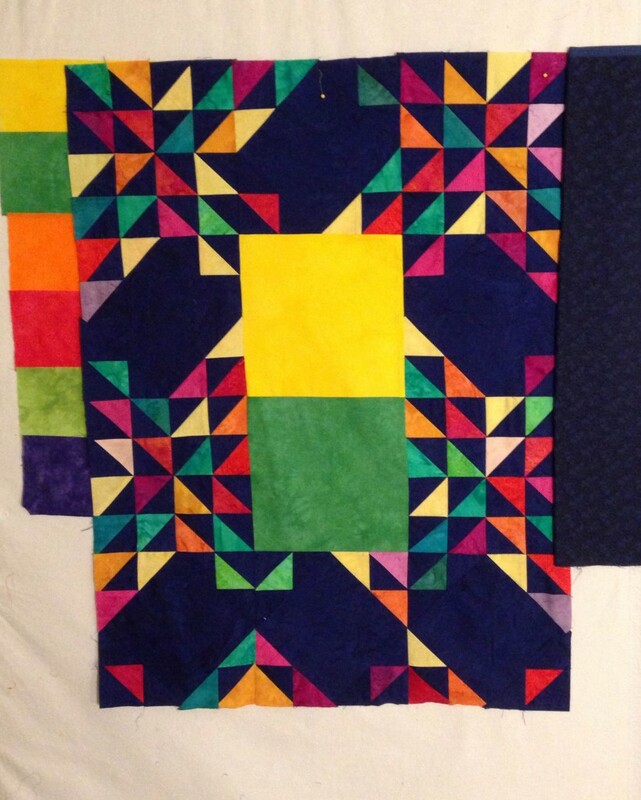 I think Project Linus would love this quilt. Your store sounds like a quilter’s dream for shopping. You are so right about my store! 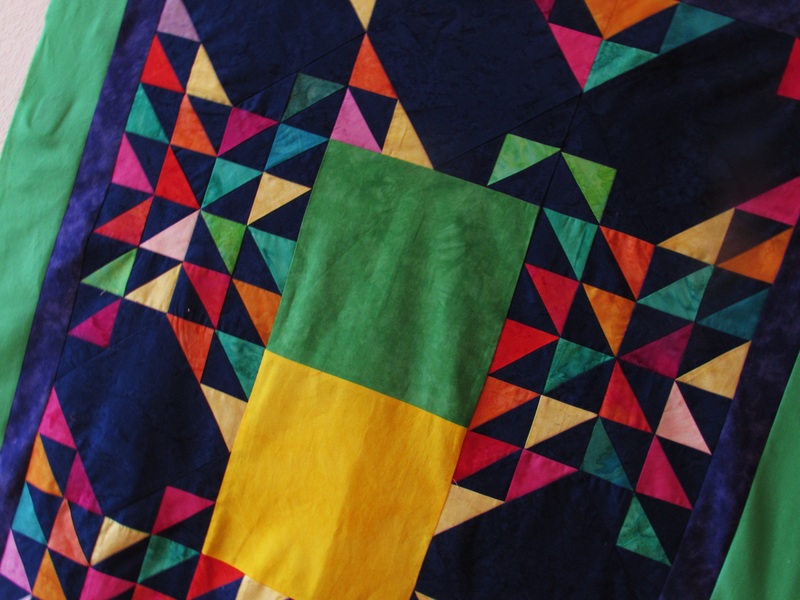 The “pre-owned” fabric is sold by the ounce – 45, 55, 65 cents per ounce, depending of the quality of the piece. I get a kick out of looking through her inventory, you never know just what you will find. Plus she has a small selection of new bolts. You’d love it! 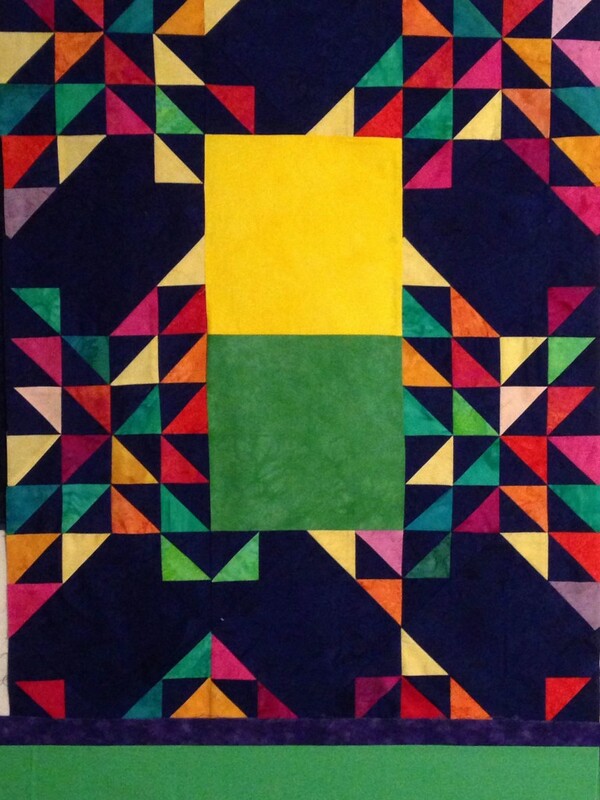 For the quilt, I hope to do a motif on that center panel (the yellow and green blocks) and then just a basic stipple, something similar on the pieced blocks. Maybe on the rectangles of blue, I should do something complementary to whatever motif I use on the center tho. It will be a good piece for me to practice on. That will be a great baby quilt. So bright and colorful! Impressive find! 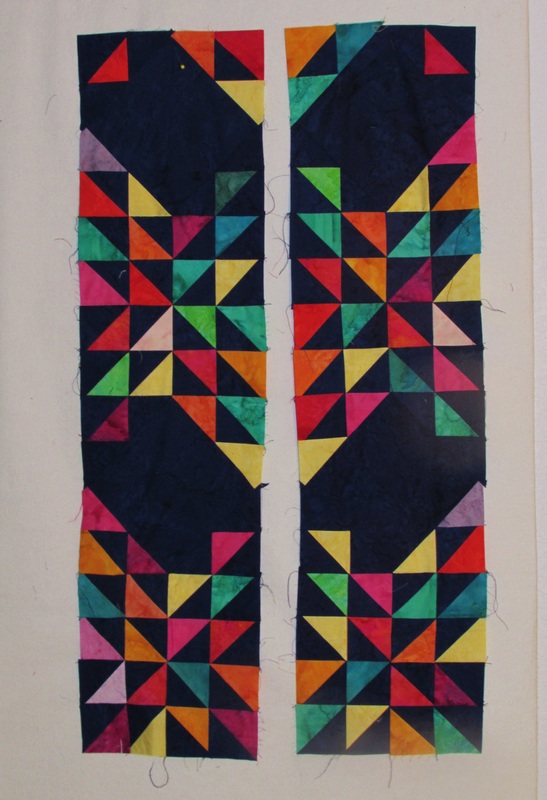 I agree – these blocks were a fantastic find. 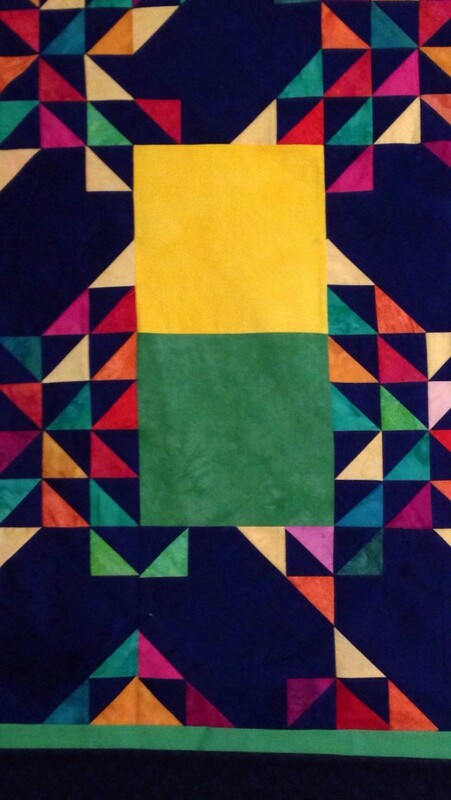 I hope the creator of them would be happy to see them used for something like this baby quilt. She had put a lot of work into them so at least they aren’t going to waste. Thank you for stopping by! What a great find! Looks great how you have put it all together. Thank you Cindy. I am so happy with it. 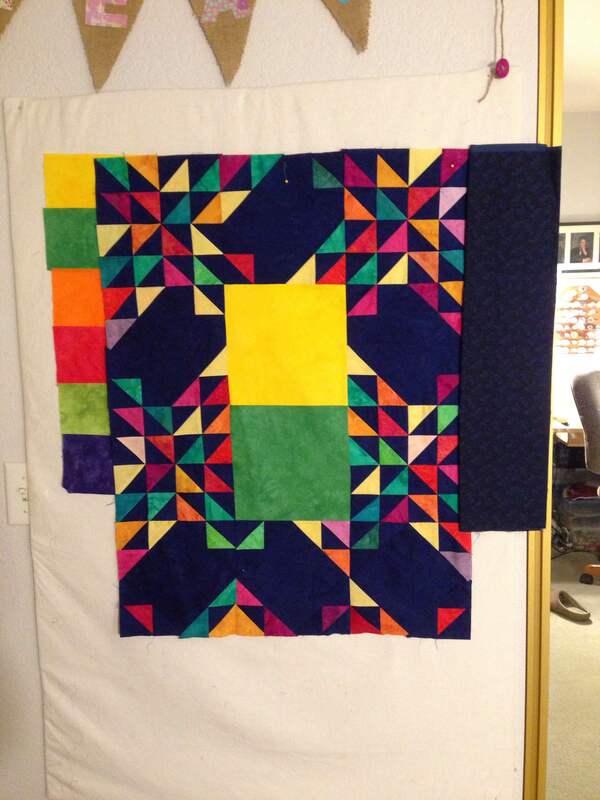 I am looking forward to quilting it and passing it along to Project Linus. 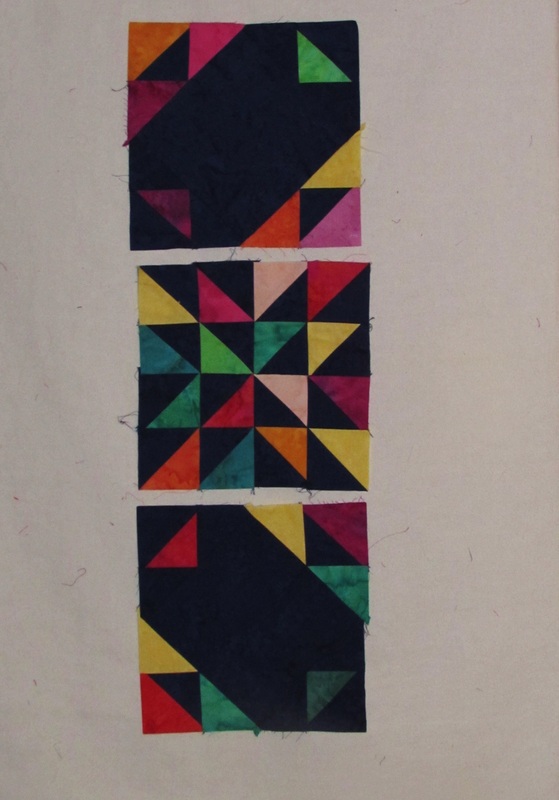 The two squares in the middle will be especially fun to quilt. You did score! Excellent eye for spotting the gem in the rough. Thanks. I was thrilled to find the blocks. It is that rare find that keeps me coming back to the local thrift stores and to Humble Fabric (where I found these). That is sto true Fiona! I have a bag of fabric that I know I won’t use and I am going to donate it to the thrift store. It will make someone else very happy.